90 day Full Money Back Guarantee! for the Perfect Hitch Set! Horse, Livestock and Utility trailers. 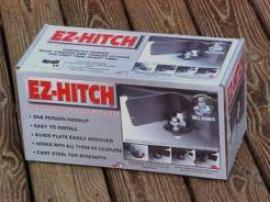 **EZ-Hitch helps reduce Back Strains. Horse Trailers and Utility Trailers. "Made to last a lifetime!" * EZ-Hitch, No Trailer Dented Bumpers. 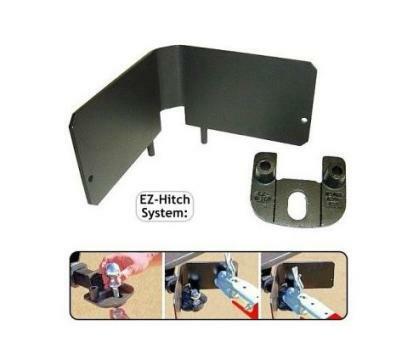 ** EZ-Hitch Eliminates Trailer Bent Plates. ***EZ-Hitch fits all Drop and Bumper Hitches. 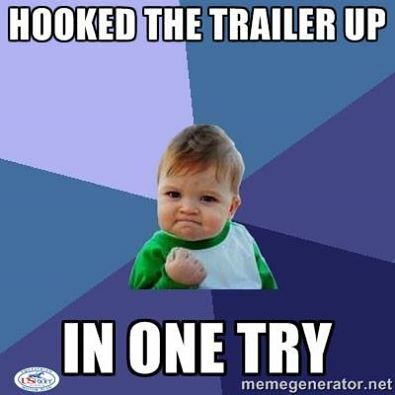 "Centers your trailer the first time... everytime!" "After hookup, E-Z remove guideplate." "Only a small holder bracket remains." "No interference on tight turns!" "US Trailer Industry-32 million Miscl. Trailers"
EZ-HITCH and EZ-WORKHORSE are Patent Trademarks!